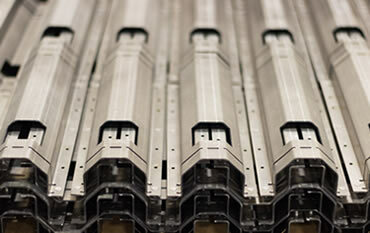 Our high-speed CNC laser cutting operations produce high quality, ``assembly ready`` sheet and plate metal parts. 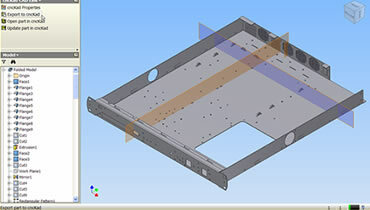 Our use of CAD/CAM software ensures accuracy and consistency of the most sophisticated parts with precise detail. We are committed to total quality management, a customer focus, and continually improving our processes. 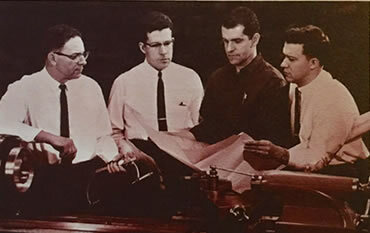 From the day Matthews Machine Company opened, one purpose was uppermost in the mind of our founder, Arthur M. Matthews: personal attention to the needs of the customer. Today, every member of the Matthews organization works with that same purpose…to perform quality work at fair prices. Plan to schedule a visit to our manufacturing plant so that we might explore serving your business needs. 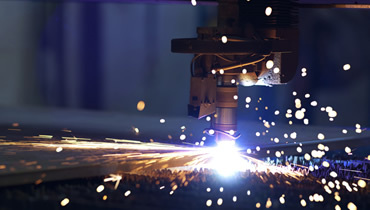 Our job at Matthews Industries is to keep pace with progress in the machine age and to be a valuable tool to manufacturing industries that demand fresh approaches to their problems. We can’t tolerate close tolerances; we want precise ones. At Matthews Industries we rarely look to the past except for guidance. We look to the future for challenges and new ideas. Opening its doors as Matthews Machine Shop, Matthews Industries has grown to move into larger and larger facilities since its original 28 by 30 feet, one-man building. 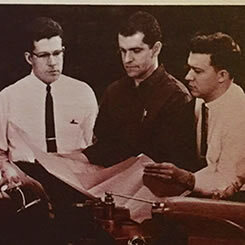 Early customers included Revere Copper and Brass, Goodyear, Babgy Elevator, and Chrysler Corporation. Then as now, many of our customers have come to us through personal recommendations from other customers who found the quality they were seeking in our work.